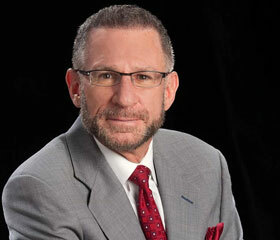 Re-elected Board member, Glenn M. Mednick, Esquire is the founding partner of the Law Offices of Glenn M. Mednick, P.L., and has been practicing law in South Florida since 1979. He is an "AV" rated attorney who mainly practices in Dade, Broward and Palm Beach Counties, although he has represented clients on numerous matters throughout the State of Florida. He is devoted to providing personal and quality representation to each and every client. He concentrates his practice to the areas of probate, trust, and guardianship litigation; probate, trust, and guardianship administration; commercial and real estate litigation; and the review and negotiation of contracts. In addition to the practice of law, Glenn M. Mednick, Esquire is a certified Florida circuit civil and county court mediator. He originally became certified as a civil mediator because of the difficulties he experienced when attempting to locate mediators knowledgeable in probate, trust or guardianship litigation. He limits his mediation practice to the areas of law in which he practices.